Grandview is a full service dressage training facility that is owned by the Wright family. Ashley Wright, the head trainer, has been listed for the Canadian Dressage Team numerous times over the years, showing countless numbers of horses to great success, some of her own and many of her clients. 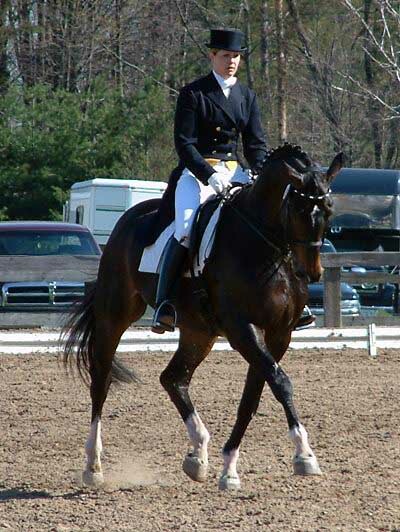 Although her chosen field of specialization is dressage, she comes from broad equestrian beginnings. She started riding at the age of 9 and quickly became active with the Eglinton Pony Club, competing extensively until the age of 14 obtaining her B level. While in Pony Club, Ashley competed in Langley, BC in the Canadian Prince Philip Games Championships, attended D and C Rallies, and also won the National Pony Club Championships in Dressage. Ashley continues to be a huge supporter of youth in equestrians sports, and has donated her time at Pony Club and Youth Camp events). Coincidentally, Ashley competed in the Hunter/Jumper arena, and also up to Preliminary level in Eventing, before finally deciding, in 1989, to focus exclusively as a dressage rider. Despite devoting tremendous time to the horses throughout her former years, Ashley also remained dedicated to her education, completing an undergraduate degree at Trent University in 1996 and earning an MBA from York University (Schulich School of Business) in 2000. She was recruited from her graduate studies by a technology consulting firm where she worked for 2 years before deciding in 2002 that she really wanted to dedicate herself exclusively to coaching. Ashley has ridden, competed, and trained throughout Canada, the US, and abroad. She trained in Europe with George Wahl (former head of the Spanish Riding School) and Christine Stuckelberger (5 time Olympic medalist, 4 time World Championships medalist). She won the individual Silver medal at the North American Young Riders' Championships in Wadsworth, Illinois, and the following year, won the individual Gold at the same event held in Bromont, Quebec. 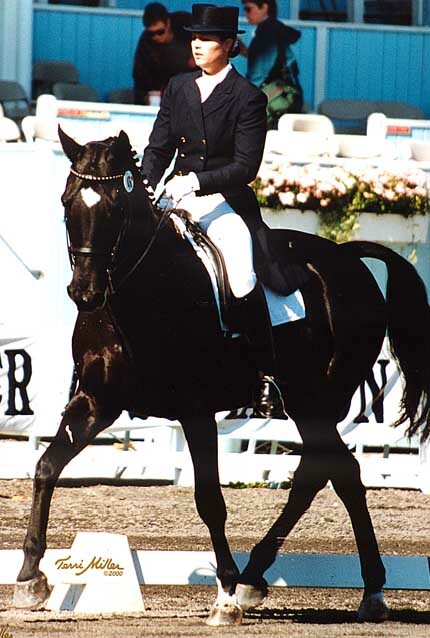 She won the Individual and Team gold medal at the 2000 South African Federation Cup, where she was selected to represent Canada by the Dressage Management Committee. She has won many provincial and national championships over the years on a host of different mounts, and has proudly brought along several Canadian-born and bred horses that have gone on to win Provincial and National championships, as well. She has trained numerous horses from Basic to Grand Prix, and has a great deal of experience establishing essential correct fundamental basics in youngsters from the breaking stage onward, which has proven successful for horses destined for all disciplines. She has also had considerable successful retraining horses to re-establish these fundamentals that often missed or not consistently nurtured along the way. Ashley believes in using a multifaceted approach going beyond simple under saddle training, including lunge work, long lining, cavaletti, in hand and also adheres to a work hard, play hard mentality, and encouraging that horses be hacked regularly on the 250+ acre property. Ashley has had remarkable success preparing stallions and mares for performance tests and inspections. She exclusively trained and prepared d'Azanté for the CWHBA Stallion Performance Test in 2004, which he won handily. Ashley has presented mares at several inspections for various warmblood registeries and, in all of them, presenting the highpoint/champion mares. She also has considerable experience and proven success preparing youngsters for the free jumping portions of breeding industry evaluations. Ashley is looking forward to working with her new stallion, Rock Brasiliano (affectionately known as "Basil"), who she hopes to compete in 2011. Grandview has a small, successful in-house breeding initiative which has produced a number of lovely, talented youngsters sired by d'Azanté and possessing exceptional temperaments. Grandview is excited to introduce "Basil" to Grandview's breeding program. Ashley has a common sense, practical, consistent approach to her training and teaches each horse and/or rider individually, working to adopt a style and method that works best for each. She is patient, down-to-earth, and positive. Although demanding, she maintains a calmness and sense of humour and genuine joie de vivre that is evident through the atmosphere of the barn, and is shared by the barn staff, along with all of the clients who together make up the Grandview community. Horses of all breeds, levels of experience and disciplines are welcome, and Ashley works with clientele that are at all stages within the dressage training experience: from basic to Grand Prix, from identifying potential matches for mounts for clients, to introducing youngsters to their first rides under saddle, to the final thoughts before going down centreline at a show. Many of Ashley's students have been with her for close to 10 years, and together, Ashley and her clients, both equally important contributors, have created a wonderfully supportive community at the farm that is truly unique to Grandview. There is a limited opportunity at Grandview for lessons with Ashley on schoolmasters. This provides students with the invaluable opportunity of riding a trained horse, allowing riders to quickly gain feedback on the effectiveness or ineffectiveness of their aids, or how to ask for a specific movement or response; it also helps riders learn to develop and tune their sense of feel, timing, and balance which is essential to learning how to properly train and influence any horse.